The amazing story of an African-American pilot in the First World War as told by The History Guy. 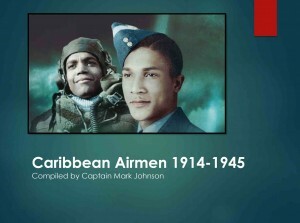 An overview of the men from the Caribbean who flew for the RAF and their experiences as captured by Captain Mark Johnson. A beautifully designed presentation delivered at the RAF Museum and for Black History Month. Various aspects of this often forgotten part of British history are highlighted by the experiences of individual men. 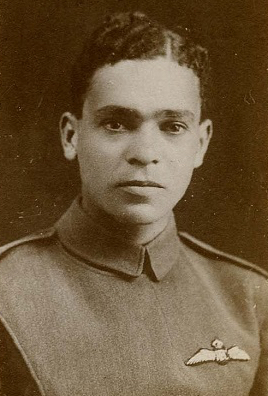 The website of the RAF Museum honours Sergeant William Robinson Clarke, Britain’s first black pilot, who received his Wings on 26 April 1917. Read his story here. The story of the RAF’s answer to the Tuskegee Airmen written by researcher Mark Johnson. Read more about the book here or see our Books section. 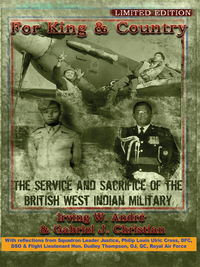 The book published by Irving Andre and Gabriel Christian in 2009 is now available online in e-book format at Shelf Wise. Read the press release here. Read more about the book here. 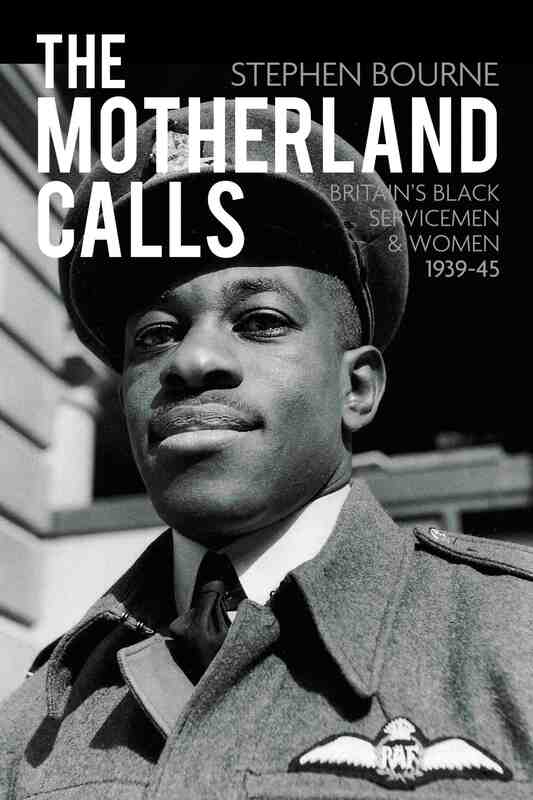 A Tribute to the forgotten black servicemen and women whose contribution to the war effort has been overlooked until now. Read more here. Stephen Bourne is a leading authority on black history and has published 11 books on the subject, including A Ship and a Prayer, Black in the British Frame, Speak of Me as I Am and Mother Country. You can watch a TV-interview with the author here. 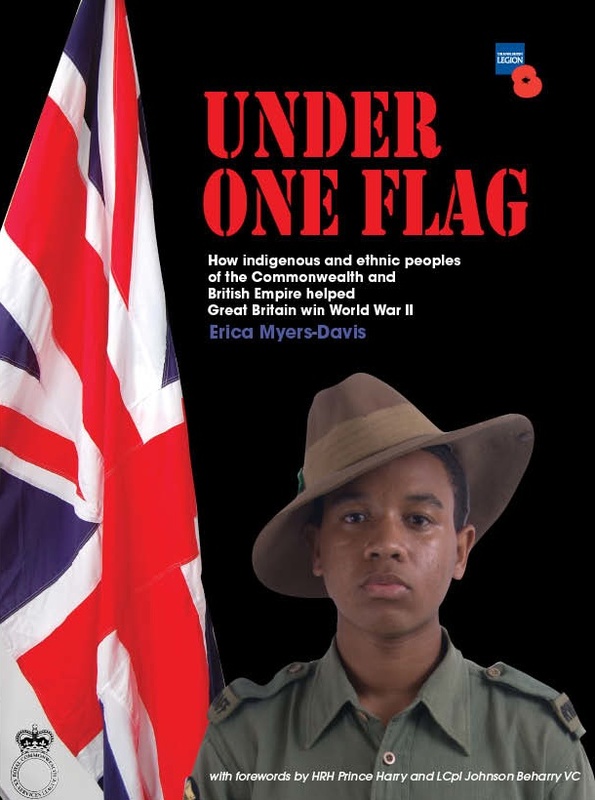 How indigenous and ethnic peoples of the Commonwealth and British Empire helped Great Britain win World War II This book by Erica Myers-Davies tells the stories of the unsung heroes and heroines of World War II from across the world. 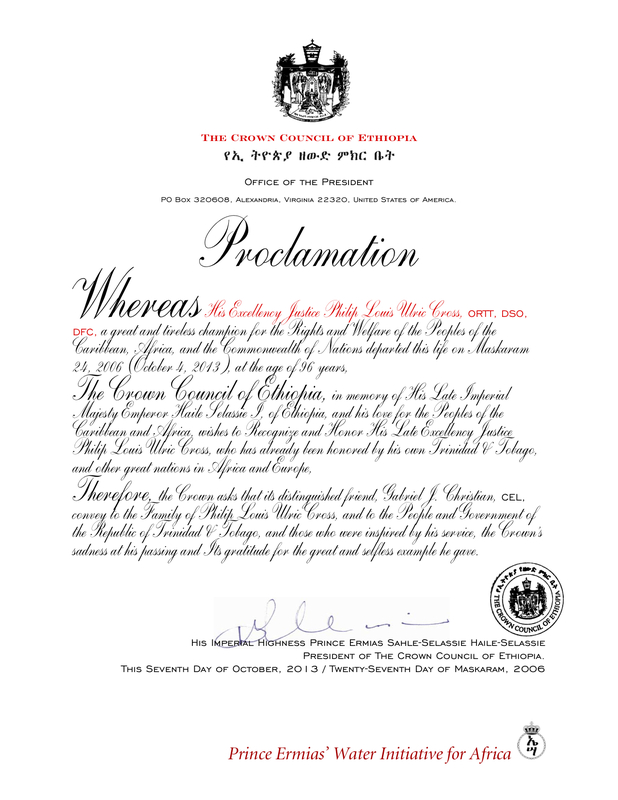 With personal forewords from Prince Harry and Lance Corporal Johnson Beharry VC, the first serving recipient of the Victoria Cross since 1969, it emphasises the vital contribution made by those from the Commonwealth and British Empire who volunteered during World War II. HRH The Prince Philip Duke of Edinburgh KG KT (Grand President of The Royal Commonwealth Ex-Services League) will be present when the book is launched in Canada House at an event hosted by the Canadian High Commissioner for the United Kingdom, James R. Wright. [Nov. 5th, 2009] More. A Channel 4 film about West Indian ex-servicemen and women who served in the British forces in both world wars. 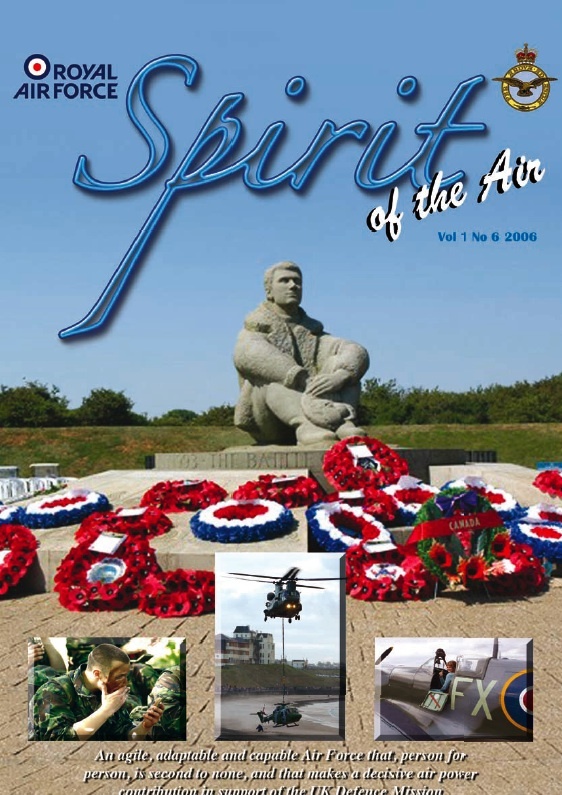 The personalities include a soldier who fought for the English regiment in WWII, a pilot who joined the ATS, plus other individuals who were in the ground crew in the RAF. The film traces the story of these individuals from those early war years through to Enoch Powell’s era in 1968 when he requested these servicemen return to their home country. F/Sgt James Joseph Hyde (from Trinidad) – front row, third from left. F/Sgt Arthur O. Weeks (or Weekes, from Barbados) – back row, fourth from left. F/Sgt Collins Alwyin Joseph (from Trinidad) – back row, sixth from right. Commanding Officer S/Ldr Count Franz Ferdinand Colloredo-Mansfeld DFC (1910-1944, born in Italy from an Austrian father and an American mother) – front row, center. F/Lt Harold Edward ‘Harry’ Walmsley (British) – front row, eight from left. F/O John Jeremy Caulton (from New Zealand) – front row, fifth from right. Henry Lacey Smith (Australian) – front row, fourth from right. Combat Film No 73. Flying Officer Weekes of 132 Squadron on 21/12/1943 at 1200, flying Supermarine Spitfire IX. Target: Focke-Wulf Fw 190. Fragment No. 73 is at 8:00 minutes into the film, which features a number of fragments from 132 Squadron. On November 11, Rememberance Day 2017 a Blue Plaque was unveiled at the former Highgate home of the initiator of this archive, the actor, singer and writer Cy Grant. Read more about it here. 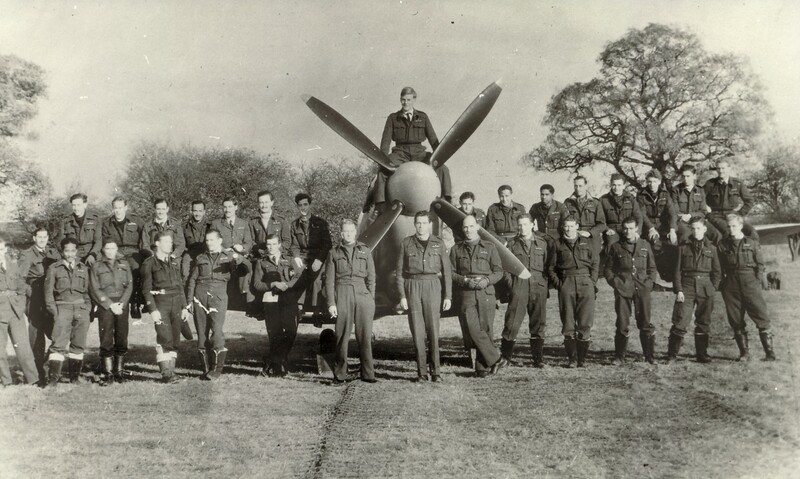 Researcher – and highly valued contributor to this archive – Mrs. Audrey Dewjee has published an article about West Indians who served as aircrew in the RAF in the East Yorkshire area during the war. 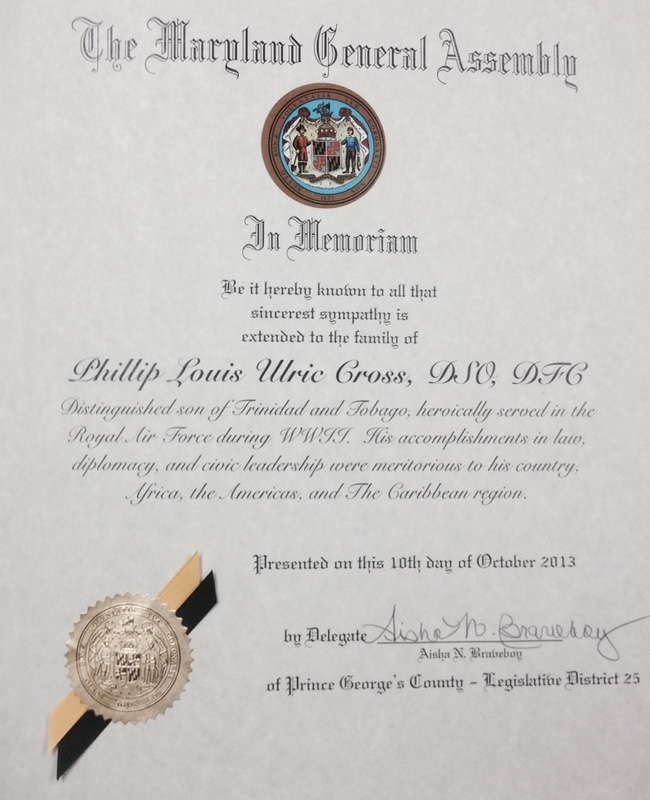 The article highlights well-known Jamaicans Billy Strachan, Lincoln Lynch, Arthur Wint, John Blair, Godfrey Petgrave as well as Vivian Florent, whose father was from St. Lucia. It is published on the website of the Africans in Yorkshire Project. The website also remembers the 4,000 Caribbean ground crew men who trained in the area at RAF Hunmanby Moor, Filey. For more about them, click here. Edward Ricardo Braithwaite was born from university-educated parents in Georgetown, British Guiana in 1912. He was one of the first Caribbeans to join the RAF during the Second World War. After the war he got his doctorate in physics from Cambridge University but failed to find work as an engineer in post-war Britain. Instead he landed a job as a teacher in London’s East End. His acclaimed book ‘To Sir, With Love’ (1959) is based on his experiences there. After publication of the book he worked for the World Veterans Organisation, Unesco and as a diplomat for his native Guyana. He passed away on 12 December 2016. Read his obituary in the Guardian and more about his life and career. The International Bomber Command Digital Archive Project is pulling resources together from all over the world to form the definitive central source of information on Bomber Command. Incorporating oral histories and videographies, never before digitized documents held by museums and institutions worldwide and those in private ownership. These will include log books, photographs, letters and service citations all pulled together in an indexed and searchable archive before the story is lost forever. Therefore preserving the rich heritage of the Command and ensuring the memory of those who served is available for generations to come. For the oral-history section of the digital archive the curators would like to interview any veterans from the West-Indies that flew for Bomber Command that are still with us. Please contact Mr. Peter Jones of the project or the administrator of this website. 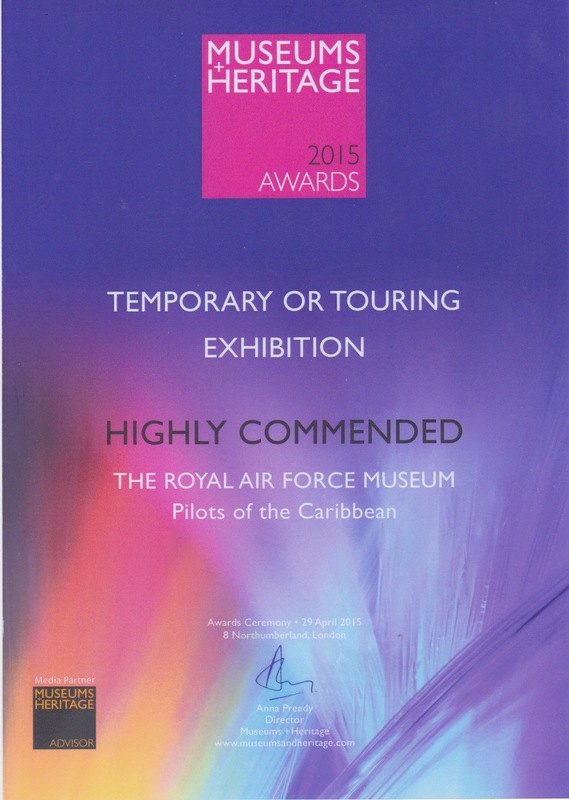 Pilots of the Caribbean: Volunteers of African Heritage in the RAF was given a Highly Commended Award in the ‘Best Temporary Exhibition’ category at the Museums and Heritage Awards 2015 held in London on 29th April. The exhibition had been shortlisted for this year’s Museums and Heritage Awards for Excellence. The exhibition about the contribution of volunteers of African Heritage to the Royal Air Force was nominated in the category ‘Temporary or Touring Exhibitions’. The touring tribute to West Indian flyers was initiated by the RAF-museum London in cooperation with the Black Cultural Archives. Read the Press-release of the RAF-museum here. 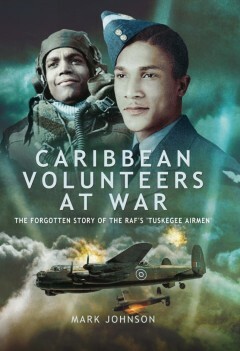 The exhibition ‘Pilots of the Caribbean: Volunteers of African Heritage in the Royal Air Force’ will open at the Royal Air Force Museum Cosford on October 6th 2014. The exhibition opening will coincide with Black History Month, a national event celebrating the achievements of black men and women throughout history. Curated in partnership with the Black Cultural Archives, the exhibition will tell the inspirational story of these volunteers, commemorating and celebrating their vital contribution to the defence of Britain, her Empire and Commonwealth. Accompanying video footage and artefacts will bring to life the stories of these brave volunteers. Read more here. The exhibition will tell the story of the important role that African, Asian and Caribbean airmen and women have played throughout the history of the RAF, from its inception in 1918 until the present day. The WW2 history of 602 Squadron (City of Glasgow) – ‘Glasgow’s Own’ will also be part of the presentation that underlines the critical role that volunteers from across the Empire, the Dominions, the Commonwealth and Allied nations played in defeating the scourge of fascism. The exhibition also provides information on the importance of equality and diversity as core values in today’s RAF. 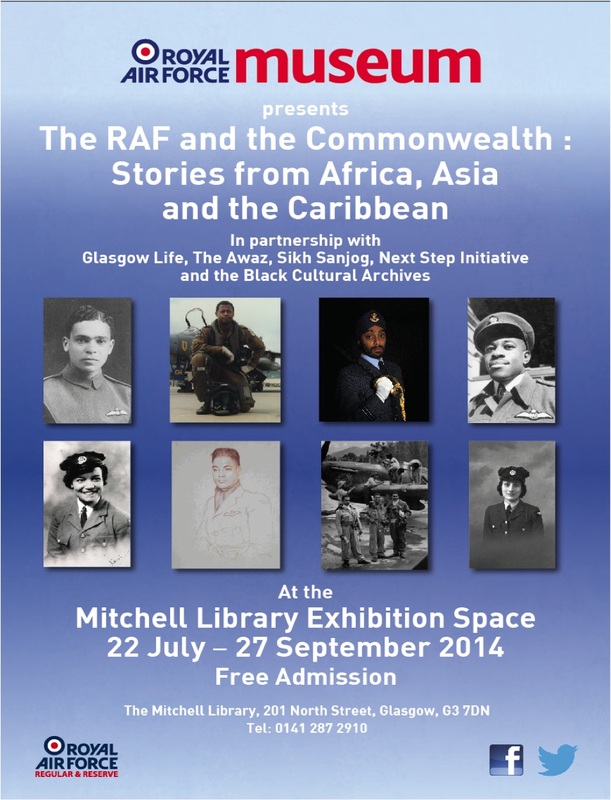 At the Mitchell Library Exhibition Space, 22 July – 27 September 2014, admission is free. Download the poster here. View a TV-report of the opening here. 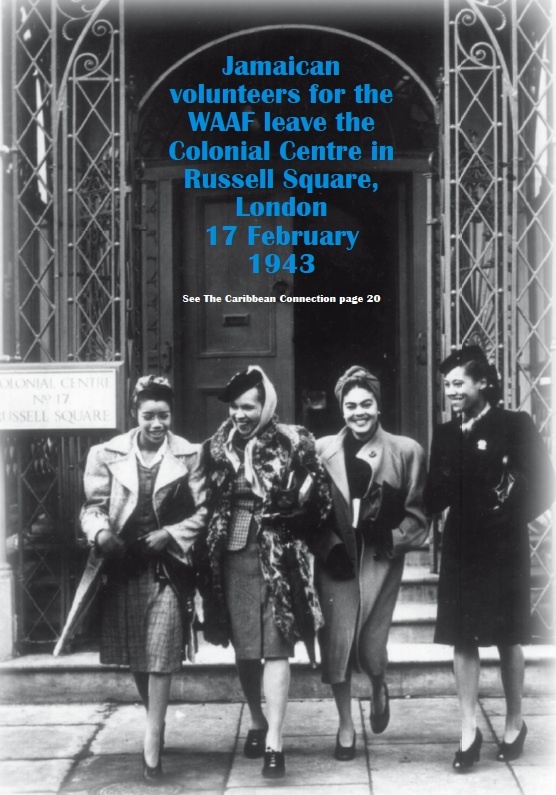 In this film, made during the Second World War by the Ministry of Information, a group of West Indians, led by Una Marson and Learie Constantine, assemble at Broadcasting House in London. They describe to listeners of a popular BBC radio series, ‘Calling the West Indies’, how people from the Caribbean are supporting the war effort. Constantine speaks about factory workers, and introduces some war-workers, including Ulric Cross, a bomber navigator from Trinidad. Cross speaks of West Indian volunteers in the armed forces and Spitfire-pilot James Hyde (killed in action later in the war) is portrayed briefly.